Mix all the above in a bowl till well blended. 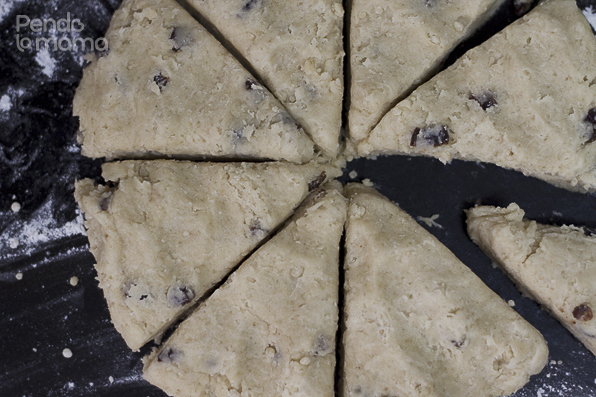 While the butter is melting, chop up the raisins. I’m not sure why I did this, but I decided to chop them up. When the butter is ready add it to the flour mix. Mix with fork till blended. Add the raisins, mix them in as well. I had mine with avocado. Those scones were a perfect 10!